"THIS WISDOM COMES FROM THE LIPS OF ZEUS TO YOUR MORTAL EARS." LaVar Ball has become such a huge sensation in the basketball world that even though he’s god-awful at the sport itself, he’s made it into a video game. 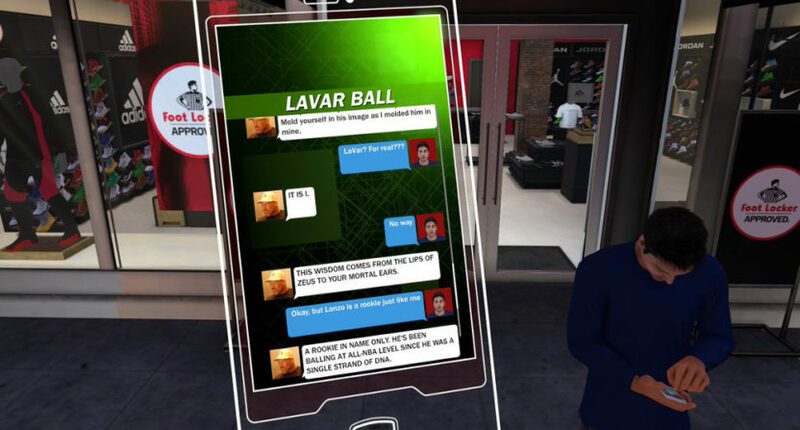 On Wednesday, NBA 2K18’s official Twitter account shared a screengrab of a text message conversation in the updated MyCareer mode, a conversation with none other than the owner of Big Baller Brand. And they’ve also added Ball into the game’s social media feed. #NotABigBaller will be aplenty. Ball, the father of Lakers rookie Lonzo Ball, has built up a nice presence in the game. Lonzo’s digital recreation in the game will wear his signature Big Baller Brand ZO2 shoes. No word on if he’ll wear other shoes occasionally as well, though. However, fans of NBA hot takes are going to have to make a tough choice in which game to buy; while NBA 2K18 has Ball, competitor NBA Live ’18 will feature Stephen A. Smith and Max Kellerman.